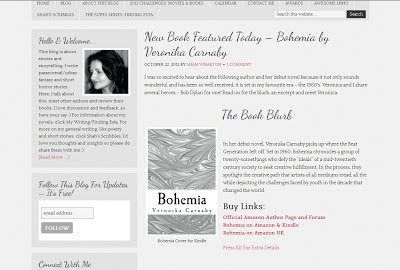 Check out Veronika's latest interviews with Shah Warton's WordsinSync and the Bibliophilic Book Blog, where she provides insights on her latest work! "Discipline is something that all writers need to possess. Imagine sitting in an empty hotel room at noon on a Wednesday. You could do anything you wanted, free as a bird, but you need that discipline to anchor you down and write." Read the entire interview on Shah Warton's WordsinSync and the Bibliographic Book Blog, respectively.